Anthony Farby.com - Page 2 of 3 - Failing Forward To Success! Long Time No Post! Here`s The FREE Traffic! Somehow the days have slipped by and I have not posted here for way too long! I have been concentrating on advertising on FREE sites with banners and text ads. I thought it might be useful to draw up a list of the sites I have been using. Although these sites are free to join, they all offer paid upgrades and I have to admit that I have upgraded on some of them.This is not necessary and you can certainly use these sites to promote your web pages or affiliate offers without paying to upgrade. Some of these sites will send you a lot of emails once you are signed up which you click on to view ads to get credits for your own ads. You might want to have a special email address specially for these emails, so that you don`t clog up your normal inbox. Don`t expect huge floods of traffic from these sites. However, if you join a few of them and put some work in on a daily basis surfing to earn credits, you will start to get visitors. A Kick In The Wallet and a Thornhill rant! I have been meaning to write this blog post on procrastination to submit To John Thornhill`s blog ever since the end of March when I bought a product through his affiliate link and was given this opportunity as one of his bonuses. But guess what?…I`ve been putting it off all these months! I regret to admit that I am one of those people that need a kick up the backside to get moving and will always find a thousand excuses to do something tomorrow (or never!) rather than today. In this particular case, the combination of a realization that my bonuses would soon expire and re-visting a video of one of John Thornhill`s epic rants were the spurs to jump start me into action! I am actually improving… things were worse before because as I realise now, I was wallowing in complacency. You see, I had my own small business (a driving school) and also work in a hotel, here on the beautiful mediterranean island of Cyprus. Although not exactly rich, my combined incomes were enough for me and my wife to live on. I had been dabbling in internet marketing for a few years but not really taking it very seriously. 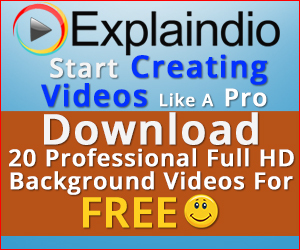 Like most newbies, I have purchased a lot of products, filling up several hard drives in the process, but have rarely completed or mastered any of the courses that seemed so promising at the time I was clicking the buy button! In 2013, the bottom fell out of our world! Suddenly, to our horror, we discovered that the Cypriot economy was collapsing. My bank, after years of throwing credit at me, suddenly froze my credit card and told me I had to pay them back what I owed them! Yikes! Worse was to come. After 15 years of having two jobs, I was told by the authorities that I could not renew my driving instructors licence because I earned more from my hotel job than my driving school. They were suddenly implementing a law dating from 1968, which had previously been ignored! To cut a long story short, I have now had to close my driving school and that was the kick in the wallet that has motivated me to take the internet stuff more seriously. I have started a blog, after buying the domain name 5 or 6 years ago but never using it (no surprises there!) and have decided to partner with a marketer whose progress I have been following for a number of years. Dean Holland is one of the most well respected internet marketers around and I am very pleased to now be involved in his iPro membership program. Dean has an excellent team around him and the support & encouragement provided by them and the other partners through weekly webinars and a lively Facebook group is outstanding. It`s early days yet, but I have already made some sales and there are many success stories amongst the more established partners. If you are interested in learning more about Dean Holland & how you might benefit from his vast online experience, I suggest you watch this free video where he explains his flagship product, The Big Commission Blueprint. Hopefully, watching that video will be able to motivate you, even if you too are a chronic procrastinator! John has just informed me that the post is live and can be found here. Attack Of The Vinda Losers! So yesterday I had a phone call out of the blue from a lady with a strong Indian accent claiming to be from Microsoft Tech Support. She said that my computer had been infected and that she was going to talk me through the procedure of correcting it. I was immediately suspicious and asked her where she was calling from. She said she was in London. There was a lot of background noise and chatter, and it sounded like she was at Victoria railway station or more likely Mumbai railway station. Anyway, I played along with her game. At one point the line went dead but she immediately called me back. I asked her to verify that she was from Microsoft. She instructed me to open a cmd command on my computer and type “assoc” and enter. That brought up a string of characters including a CLSID. She correctly quoted the CLSID number I had on my screen and said she wouldn`t know that number if she wasn`t from Microsoft. Apparently, that CLSID is the same on all Windows computers but I can see how that would convince some people. Next she instructed me to open another cmd command box, type “eventvwr.exe” and press enter. At this point I informed her that I don`t like being scammed and hung up! Needless to say, she did not ring back. This is a lesson to us all about how many scam artists there are out there on and off the internet trying to steal our hard earned cash. Every day you will come across websites that make wild promises of incredible mountains of cash that will come your way if only you buy their one click software or join their membership site. Whilst some of these shiny objects may not be out and out scams like the one being run by the Vinda Losers, most of them just do not work. They will happily take your money and leave you high and dry. That is why you should go with something & somebody that is well established, has an excellent record of honest, ethical marketing and who really has your best interests at heart. Introducing Dean Holland, the founder & CEO of iPro.Dean has been helping complete newbies to start making money online for years now.His reputation for producing products that deliver on their promises is second to none. iPro`s flagship program is called The Big Commission Blueprint and it is literally transforming lives. I urge you to watch a free video where Dean will walk you through BCB and show you real examples of ordinary people, with no previous marketing experience who are now earning big commissions on the internet. This is no scam. It is a real business that will require some honest hard work and commitment from you, which will reward you big time. That is something the Vinda Losers of this world will never understand. Dust In Time To Make Paydirt! Woke up the other day to a peculiar hazy yellow sky which got steadily worse throughout the day! The normal strong sunshine and bright blue mediterranean sky were completely obscured by this fog of dust. It was difficult to see where you were and where you were headed! If you dared to venture out in it you would soon be coughing and spluttering and stumbling aimlessly. Got me thinking about running an online business. For most people starting out it`s similar to being in a sand storm. Not knowing which direction to head in. Not seeing the bigger picture. Being constantly attacked and robbed by bands of guru bandits! But wait!…… There is an oasis close at hand. A place where you can see a clear path to success ahead. Where your efforts will soon start to earn you big commission coconuts! Head over to the oasis right now to watch this FREE video which makes it all clear! Even if you decide this particular watering hole is not for you, you are sure to dig up some hidden treasure in the words spoken by Dean Holland in this FREE video! Sheik the dust off & go watch It NOW! Get A Marketing Mentor For Peanuts! Have You ever considered getting a mentor? An experienced internet marketer who can take you by the hand and show you the ropes? Every successful internet marketer out there has had the benefit of a mentor. The services of a well known, successful marketer don`t come cheap! Typically it will cost you thousands of dollars for coaching from an expert! But now there is a way round this problem! Dean is one of the most trusted marketers online. He went from being a construction manager with 60k of debt to a 7 figure earner and internet legend. He is the founder of iPro, which is taking the internet marketing world by storm. Top marketers & gurus are joining iPro as partners because they can see the benefits of plugging in to his amazing sales funnel and banking huge commissions! So what does this have to do with me getting a mentor?, I hear you ask. The thing is, Dean cares about his clients. His priority is their success! Once you are a customer of Dean Holland you have a mentor for life. You DONT NEED to join an expensive coaching program! Watch this FREE video where Dean shares some golden nuggets with you and introduces you to Big Commission Blueprint. For the cost of a cheap meal you can start to partner with Dean and begin to get the mentoring you need to take you to the next level! Big Commission Blueprint is taking complete newbies and turning them into successful marketers in record time! Even if you decide this is not for you, you are sure to get real value from watching Dean`s FREE video! One word of warning:- Don`t expect wild promises of push button riches. This is a real business which you have to work at to achieve success. If you are looking for that “three clicks and you are a millionaire!” garbage, then look elsewhere. Do you like to inflict pain on yourself? Do you like to suffer for years, stumbling around in the dark rather than taking the easy route to success? Then you could be a masochist! But don`t worry, there is a cure! I was torturing myself for years, trying to find a reliable way to make money online – and failing badly! That was until I discovered iPro and The Big Commission Blueprint! Now that I am using Dean Holland`s tried & tested systems, I am beginning to see results. I realise now that I am not a masochist! I did not enjoy failing! I did not enjoy spending hundreds of dollars on products that didn`t live up to their promise! Now I have teamed up with a successful millionaire marketer and I let his team of experts do the hard work. I just pour the traffic into his sales funnel and bank the commissions….and we are talking Big Commissions! Find out more about how the Big Conmmission Blueprint can cure your masochistic tendencies for good! If you are fed up with struggling online just to earn those typical tiny commissions, this could be the cure you have been searching for! The Big Commission Blueprint delivers the gain without the pain! Why Do We Go To Restaurants? I have recently been doing some pruning of my aweber lists. By that I mean that every so often I go through each list and unsubscribe anyone who has not opened one of my emails in the last 6 months. It is fairly frustrating to see how many people only open the first message which has a link to the freebie that they subscribed for. Suprisingly, some people don`t even open that first message! I have started to tweak my messages, changing headlines and wording, trying to make them more eye-catching, in an attempt to improve the open rate. After all, there`s no point in crafting & sending messages if nobody even opens them. So why do we go to restaurants? I mean, it`s cheaper to cook at home and eat in the privacy & comfort of home, right?And yet we like to get in the car, drive around looking for a restaurant and a parking space. Sometimes we even have to stand around waiting for a table to be free! The reason for this odd behavior? It`s because of the appeal of the “done for you option”! You get to feel special, waited on by experts, served up food prepared by professionals. And all you have to do is sit back and enjoy your meal! It`s the same with an internet business. You can slave away at home in front of your computer, learning about HTML, CSS, FTP,SEO, copy writing, squeeze page design, product creation, email follow ups, etc, etc and even after years of trying to master all this techy stuff – there`s still no guarantee that you will make any money! You can take the sensible option…Shortcut your success by teaming up with a well respected internet millionaire who`s been there, done that and got the t-shirt! Just plug in to his tried & tested systems and let the experts do their thing! It`s not quite as hands off as eating in a restaurant – you will have to do some work to promote your links and send traffic to them, but you will have expert training & guidance to help you – and you can be up and running in minutes, not years! Click Here, Enter Your Email & Find Out More! Imagine using an established private business system for yourself and being involved in an opportunity that’s already banking up to$12,296 per DAY! Check Out What`s On The Menu Now! Back in March I purchased a product through the affiliate link of John Thornhill, as he was offering some great bonuses. These included a promotional tweet on his two twitter accounts, a banner ad on one of his sites for 6 months plus a guest post on his blog! It seemed too good an opportunity to miss. The product I purchased, Covert Commissions is good, but it was the traffic bonuses that swayed me. In the last week or so I have been feeling guilty because the 6 month deadline for claiming those bonuses is nearly up and I was annoyed with myself that I could be letting this chance of free targeted traffic slip by. At this point I re-watched some video rants that John Thornhill has posted on his blog from time to time and this helped me to get motivated! So, I sat down at my computer and forced myself to write a blog post about… wait for it……procrastination and motivation! Once I got started, the damn thing more or less wrote itself! It took me less than 45 minutes to write the post and the tweet, prepare the banner and send them off for approval. By the way, the blog post, tweet and banner are all promoting my link to Dean Holland`s Big Commission Blueprint. My latest solo ad, which was a three parter, has now completed. The second & third parts gave me 220 clicks each and netted me 58 & 69 subscribers respectively. I also got two Big Commission Blueprint front-end sales 🙂 I also had a sale of The Affiliate Club a day after the solo ad finished! I have joined two more banner sites, MyTrafficSite & Traffic&Sales4Me which are sister sites to InstantBanners4Me, which I mentioned in a previous blog post. These three sites are owned by marketer Frank Salinas and it is in fact his traffic that was sent to this last 3 part solo ad. I have upgraded in both these two new sites aswell, which saves a lot of time clicking on ads to collect points & gets me better commissions on any upgraded referrals. I also grabbed Frank Salinas “Back To School” offer which comprised of a 120 click solo ad, a 100 click banner ad on his download & thank you pages, 3 lifetime banner ads on each of his above mentioned banner sites plus 12 months of e-mail follow-ups where he will place my e-mail swipe into his autoresponder and leave it there for a year! This deal was too good to refuse, and I am confident that this will result in lots more traffic to my BCB link and hopefully some sales too! Clickmagick Success & Another Solo Ad Underway! I have set up another solo ad for Big Commission Blueprint. This one is a three parter (3 x 200 clicks). The first part has now concluded with a total of 220 clicks bringing me another 58 subscribers and 2 front-end sales! Part two will be going out this week so I hope to get similar or better results with that! My newest traffic source: Instantbanners4me is coming along nicely. Apart from the extra clicks on my banner ads, I have 6 people signed up under me on that site, who may upgrade at a later stage, netting me a commission.